Amazon’s new line of tablets and e-readers has officially been announced. The lineup includes a revised Kindle, a new e-ink Kindle touch with free 3G and starof the show, the Android powered Kindle Fire. The Kindle Fire will features a 7-inch ultra-wide IPS 1024×768 display, a dual-core processor, and weighs in at 14.6 ounces. The Android based Kindle Fire tablet will also have access to all of Amazon’s services including Amazon Instant Video, the Amazon Appstore, Amazon MP3, free cloud storage, magazines and the Kindle book store. 8GB of storage is included, along with a battery that boasts eight hours of reading or 7.5 hours of video playback. I wonder what video formats are supported though. Whispersync was also shown off at the event, allowing users to stream movies from the Kindle Fire to their TV. 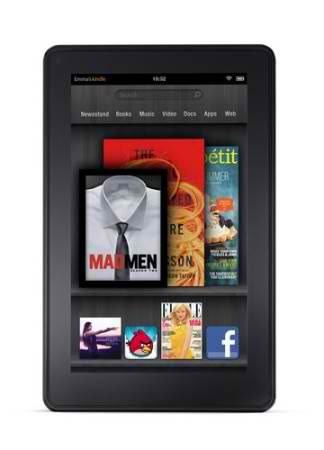 The Kindle Fire UI is completely customized, showing almost no sign of its Android roots. Adobe Flash support is included. All this for $199 USD? Sounds awesome. Might buy one for the Holidays!